One of the famous American professional golfers is Kevin James Kisner. He is professionally popular by the name Kevin Kisner. He plays on PGA Tour. He turned professional in 2006 and has recorded 9 professional wins including 3 PGA Tour wins to date. Kevin Kisner was born on 15 February 1984. His birth name is Kevin James Kisner. His birth place is at Aiken, South Carolina in the United States. He holds American nationality. His father name is Steve Kisner and mother name is Christy Kisner. He attended the University of Georgia where he played college golf. He was a member of their 2005 NCAA Division I Championship team. He graduated from the University of Georgia in 2006. After graduation, he turned professional. During 2007-2009 Kevin Kisner played on mini-tours. He won three times. In 2009, he played in six National wide tour events. He won the Mylan Classic at the 2010 Nationwide Tour. He also earned 2011 PGA Tour card and 2014 PGA Tour card. He failed to retain the 2012 and 2013 PGA Tour card. He finished 6th at the Wells Fargo Championship, 8th at the Wyndham Championship, and 9th at the RBC Canadian Open. He became the runner-up three times in 2015 PGA Tour. In November 2015, he finished as runner-up at WGC-HSBC Champions event in Shanghai. He earned his first PGA Tour victory on 22 November 2015 winning the RSM Classic in his 109th PGA Tour start. The win moved him into the Top 20 in the world rankings and put him at the top of the early FedEx Cup standings moving into 2016. He won his second PGA Tour title on 28 May 2017 winning the Dean & DeLuca Invitational. He finished runner up in WGC-Match Play in Austin, Texas on March 2018. He tied for second at the 2018 Open Championship. 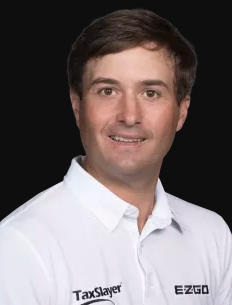 He reached the championship round of the WGC-Dell Technologies Match Play in March 2019.
Who is Kevin Kisner Married to? Kevin Kisner is a married man. His wife name is Brittany Anne DeJarnett. They got married on 12 March 2012 in Athens. The couple has children together. They are Kathleen and Henry James. The family lives happily in Kisner’s hometown which is Aikens. What are Kevin Kisner’s Body Measurements? Kevin Kisner’s height is 1.78 m i.e. 5 feet and 10 inches tall. He has a body weight of 165 lbs i.e. 75 kg. He has a balanced and healthy body. What is Kevin Kisner's Net Worth? Kevin Kisner's major income comes from laying professional golf. With several wins, he was accumulated several prize money. As of 2019, his net worth is estimated to be $15 Million.